This beautiful <a href="https://inhabitat.com/cista-rainwater-cachement-by-moss-sund-and-figforty/" target="_blank">rainwater collection system</a> by Mexican designer <a href="http://www.4-id.org/acquaviva/acquaviva.html" target="_blank">Araceli de la Parra</a> consists of a series of sculptural "flowforms", which encourage the natural movement of water by channeling it into eddies and vortices. 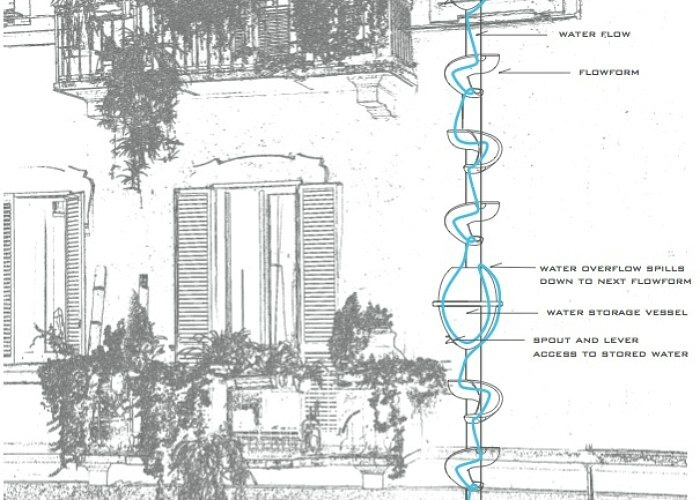 A set of flowforms and water storage vessels are attached to a building via cables and to sit below rain gutter spouts, collecting water runoff and storing it alongside apartment balconies to irrigate plants. This beautiful design, called Acqua Viva, treats water as a precious resource by channeling it with a stunning system. 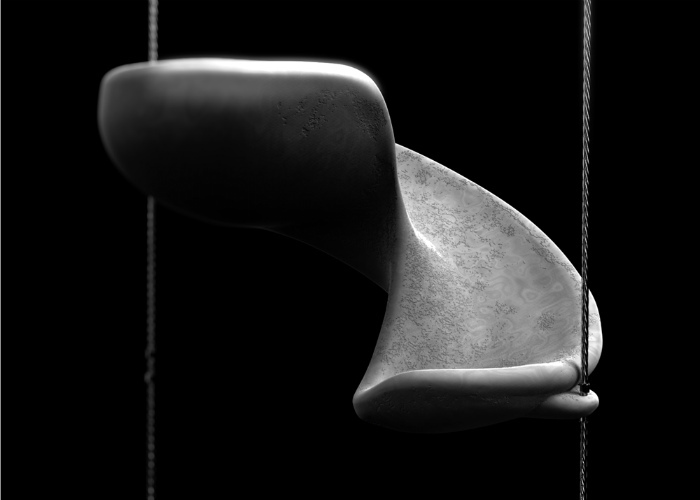 Araceli de la Parra was inspired by the work of <a href="http://flowform.net/who-are-we" target="_blank">John Wilkes</a>, the inventor of the Flowform, who studied nature and the movement of water to understand its life-sustaining principles. In nature, water meanders, flows over rocks, spirals, falls, drips and drops and it is believed that this movement is what sustains life and helps biological processes to occur. When water is stored and kept still, it stagnates, allows bacteria to grow and diminishing its life-giving qualities. 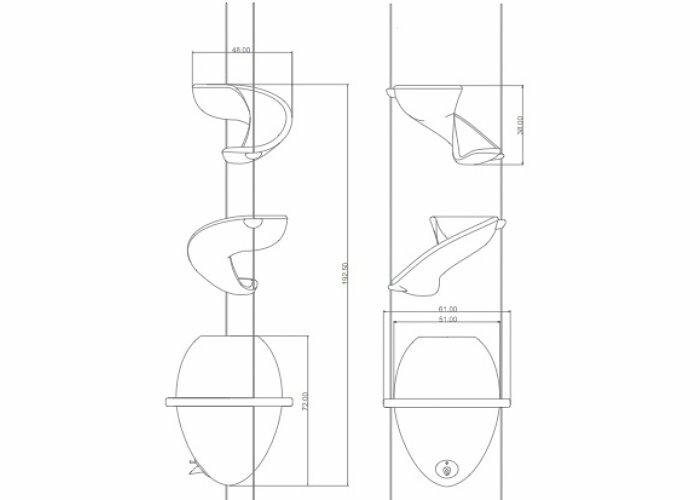 Flowforms were designed to encourage the natural movement of water by forcing it into vortices, thereby improving water quality. 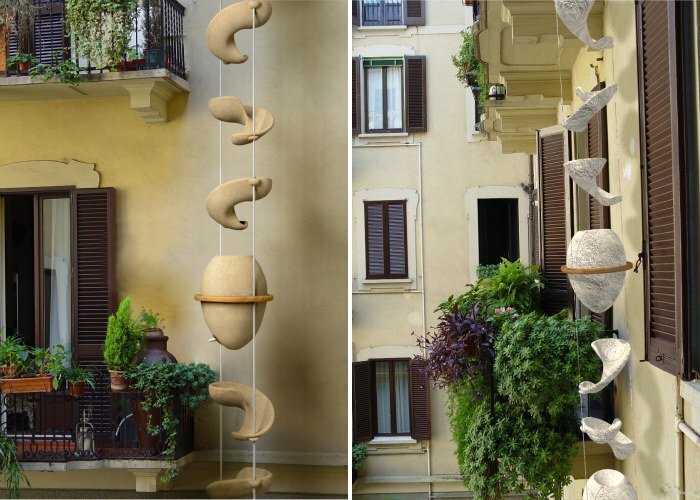 The Acqua Viva rainwater collection system is made up of a series of spiraling Flowforms that <a href="https://inhabitat.com/rainwater-h2og-rainwater-storage-system/" target="_blank">collect rainwater</a> and send it into storage vessels. 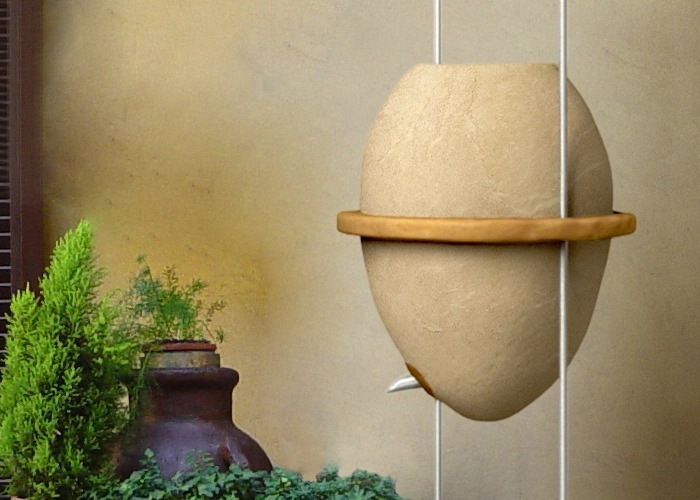 The <a href="https://inhabitat.com/london-design-festival-eco-cooler-dewene/" target="_blank">terracotta</a> flowforms and vessels are designed to be hung on a series of cables, where they capture rooftop runoff and allow water to cascade down through each form. 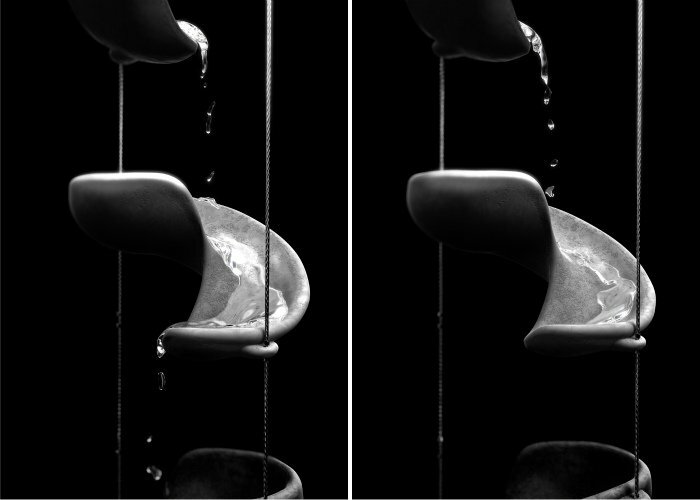 Flowforms encourage the water to act in a natural way, spiraling and falling into beautiful egg-shaped vessels. When it rains, the water run off the roof into gutters or is channeled into spouts with the Acqua Viva system located underneath. Water is stored to irrigate nearby plants and can be accessed via a spout at the bottom. 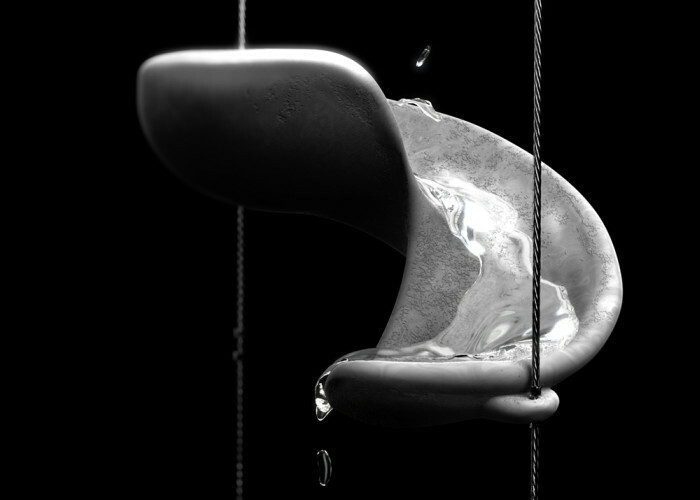 When there is too much water for the vessel, water spills out over the top and flows down through more flowforms and into the next vessel. 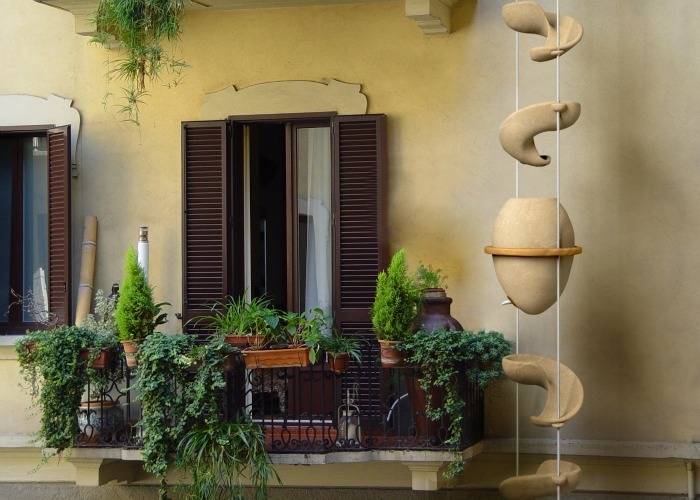 The Acqua Viva system is only a concept now, but was designed to serve as a stunning and aesthetically appealing yet practical design to collect rainwater. 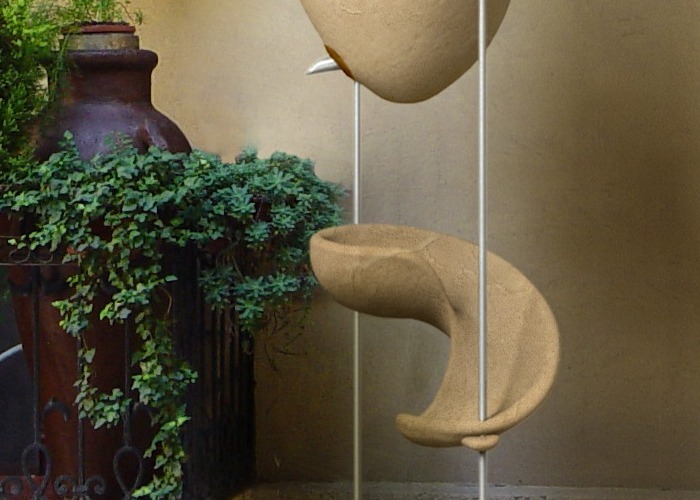 The system can conveniently be hung next to apartment dwellers' balconies to help reduce stormwater runoff. 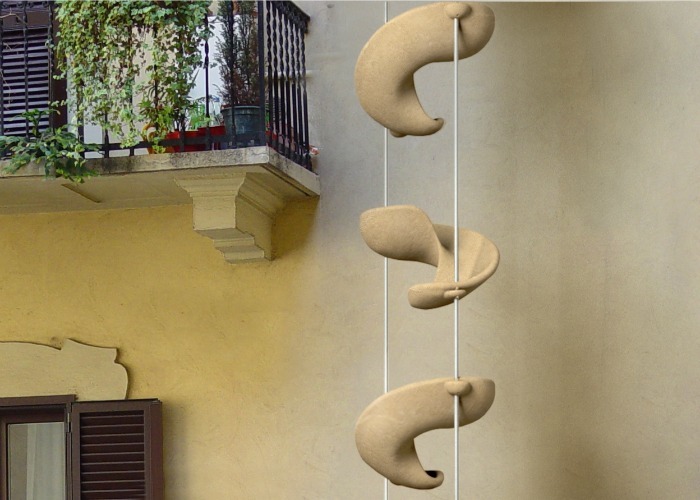 This beautiful rainwater collection system by Mexican designer Araceli de la Parra consists of a series of sculptural "flowforms", which encourage the natural movement of water by channeling it into eddies and vortices. 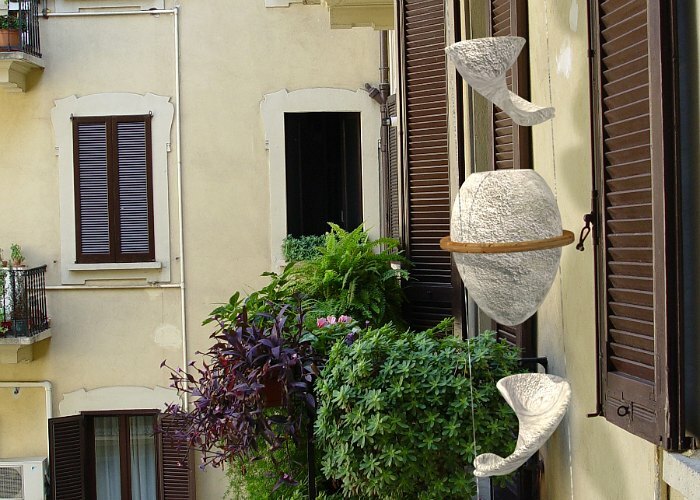 A set of flowforms and water storage vessels are attached to a building via cables and to sit below rain gutter spouts, collecting water runoff and storing it alongside apartment balconies to irrigate plants. This beautiful design, called Acqua Viva, treats water as a precious resource by channeling it with a stunning system.